Binsar is a scenic, sleepy and a cut-off travel destination, situated in Kumaon region of Uttarakhand state, which will bring you much closer to the nature. Located at an elevation of 2,412 mts above the sea level, Binsar is situated amidst Binsar Wildlife Sanctuary. 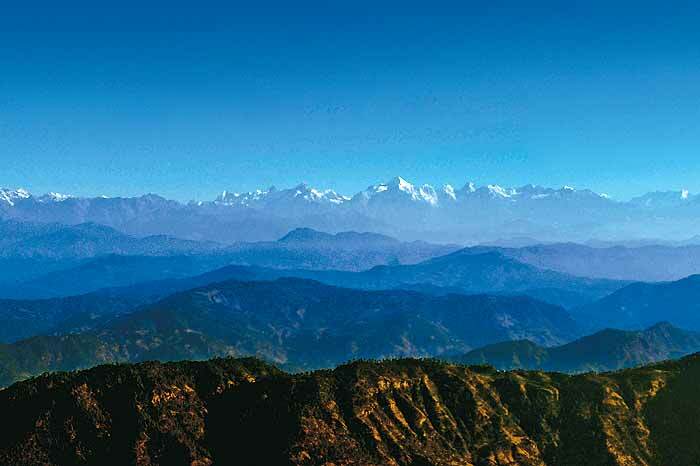 The main attraction of Binsar is the 300 kms of majestic and panoramic view of Himalayan peaks from Zero point. 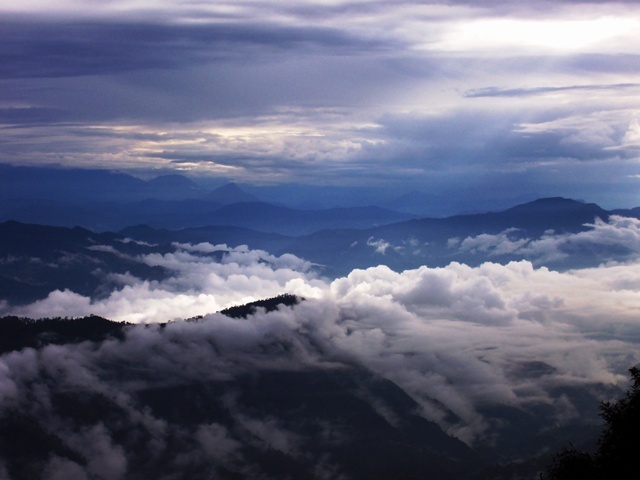 If you are a die-hard nature lover then prepare yourself to add Binsar in your bucket list. It is an ideal place for Bird watching and wildlife photography. There are several popular excursions in proximity of Binsar. Take peaceful and serene walks at Binsar, enjoying the unmatched beauteousness of nature. Binsar Wildlife Sanctuary was setup in 1988, is spread over an area of 45.59 km and is situated at an altitude varying 900 to 2500 metres with an average height of 2412 mts. Binsar is rich in its flora and fauna due to the proximity with Binsar Wild Life Sanctury. The slopes have a varying expanse and the terrain has been shaped by the action of running water. The sanctuary has been declared an ‘Important Bird Area by Bird Life International‘. as there are more than 200 species of birds in the sanctuary, including Forktail, Blackbirds, Laughing Thrush, Kalij Pheasant, Nuthatches, Parakeets and Monal. The dense Binsar Wildlife Sanctuary is the home of 200 bird species, Barking Deer, Himalayan bear, leopard, fox, musk deer, langur, porcupine, flying squirrel, chital, jungle cat etc. An entry ticket of Rs. 40 per person and Rs. 50 for a car has to be paid at the entry point of Binsar. Electricity is limited in Binsar region so as to prevent the exploitation and degradation of natural beauty. It was the capital of rulers of Chand Dynansty, which ruled over Kumaon, from 11th to 18th centuries AD and enjoyed their summers at Binsar. Binsar is also noted for mythological warfare between King of Binsar and Golu Devata. Due to some confusion Golu Devata was beheaded and his trunk fell at Gairad Dana Golu, near Binsar national Park and his head felled at Kaparkahan near Binsar. Both these places have ancient temples of Lord Golu. Binsar offers salubrious climate throughout the year. During monsoons Binsar offers varied greenery and receives snowfall during winters. The climatic conditions prevailing in the Binsar sanctuary range from temperate to sub-arctic. Summers in Binsar: Climate is moderate but pleasant, extends through the months of April, May and June. Maximum temperature is around 30°C and a minimum temperature is around 15°C. Winters in Binsar: Binsar winters are very cold, and the maximum temperature during the winter months will range around 24°C. and the minimum temperature can go up to 0°C. Winter months are: October, November, December, January and February. This time is best for nature lovers, bird watchers and honeymoon couples. Best time to visit Binsar: The best time to visit Binsar is during summers and during the month of October and November. Cloths: Light woolens are recommended during the summers whereas heavy woolen should be carried during the winter season.